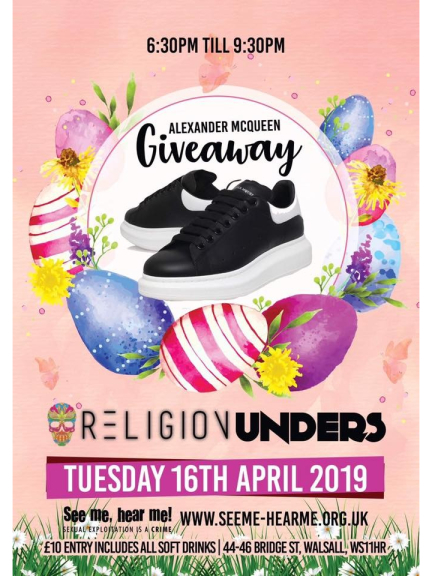 Under 16's Easter Party & Alexander McQueen Trainers Giveaway at Religion Nightclub, Walsall! Join Religion Nightclub and celebrate Easter! Could you win a pair of Alexander McQueens?